Flashback: August 2, 2016. It was a great night for the Right to Life of Michigan Political Action Committee (RLM-PAC). It was primary election night, and RLM-PAC endorsed candidates won in 91.7 percent of their races. The greatest victory of the night was the lone head-to-head matchup between the RLM-PAC and Planned Parenthood. In the Democratic primary race for the 96th state house district, Planned Parenthood endorsed Don Tilley, who received 40 percent of the vote. The RLM-PAC endorsed Brian Elder, who won with 47 percent of the vote. As the national Democratic Party largely endorses abortion-on-demand through all nine months of pregnancy, it warms the heart of prolife people to see courageous prolife Democrats buck the party line. It’s sadly becoming rarer to see Democrats win elections while acknowledging the human value of unborn children, but there are still a few of them, and their courage is to be admired. 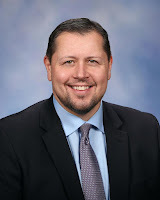 State Rep. Brian Elder was once such a man. Fast forward to April 24, 2018. Just minutes after the filing deadline for the primary election, Rep. Elder told us he was not seeking the RLM-PAC endorsement. Two days later, we received an e-mail from a reporter at the capitol. She said Rep. Elder was announcing he would not seek our endorsement, saying Right to Life of Michigan had become too political. The reporter wanted our comments. Rep. Elder criticized us for an endorsement of an Alabama senator candidate we didn’t make, and for ignoring his opinion on legislation. He said his views on abortion haven’t changed, but said he had "absolutely no plans to do anything substantive on the issue." We could generously say the timing of all this was curious, but it’s very plain what happened. Rep. Brian Elder was receiving interest in the leadership race for the House Democrats. Rep. Elder denied in the article that his campaign for House leadership had anything to do with his sudden announcement, but only a fool would believe that. He waited until moments after the filing deadline for the primary election to inform us, cynically taking no risk of being challenged by a real prolife Democrat in the primary election. Because of his curious choice in only telling his story via a subscription capitol news service, Gongwer, we didn’t say anything publicly. Perhaps he was only being forced to denounce Right to Life of Michigan to be allowed to run for leadership. Perhaps he would continue to vote for some prolife legislation in the future. Our field representative for Rep. Elder’s area set up a meeting to talk with him directly about the situation. Rep. Elder told her that despite his disagreement with us, he still considers himself prolife and would consider voting for prolife legislation. While the apparent political calculation and pressure from his fellow caucus members seemed clear to us, we were content to move forward, hopeful we could still work with Rep. Elder in the future. Fast forward to August 15, 2018. After less than four months, the formerly 100% prolife Rep. Elder has introduced legislation attacking prolife pregnancy centers. Yes: not Right to Life of Michigan, not our legislation, but nonprofits dedicated to helping women, the same thing he accused us of not caring about in his blindside attack. Well, news flash Rep. Elder, we care. Rep. Brian Elder’s bill is a close copy of California legislation that the U.S. Supreme Court recently struck down in NIFLA v. Becerra. It would effectively end the ability of any prolife pregnancy center to advertise their free help services to women. Rep. Elder would compel them to deface their own advertisements with a disclaimer that’s larger than the message they seek to include in their advertising. A billboard that simply said “choose life” would have to be accompanied by a paragraph disclaimer in a larger font. It’s one thing to suffer the dishonor of having to renounce former friends to advance your career, but to attack innocent third parties in such a blatantly hypocritical way is something else entirely. In his blindside attack, Rep. Elder said he had no substantive plans on addressing the abortion issue. He apparently wasted no time, however, working on plans to undermine the First Amendment, ignore a fresh U.S. Supreme Court precedent, and go after non-political prolife volunteers trying to help women. Today, Rep. Elder is an abortion radical, using legislation that has zero chance of passing and being upheld in court simply to send a political message. If Right to Life of Michigan was being too political, he could have simply denounced us without changing his views on the fundamental value of human life. If he wanted to focus on helping women, he could have continued promoting the good work of prolife pregnancy centers around our state. If he was forced to act legislatively to appease Planned Parenthood, he could have simply stopped voting for prolife legislation. Instead, Rep. Elder has chosen to attack nonprofit help organizations that aren’t involved in politics, only so he can be a slightly more powerful politician. Who is being nakedly “political” here? People can and do switch sides on issues all the time. Sadly, many politicians do that simply for their own personal ends. But to go from 100% prolife candidate to attempting to shut down the free speech of people trying to help women? In less than four months? For shame, Rep. Elder. For shame. If you are a prolife constituent, please contact Rep. Brian Elder and ask him to withdraw his pointless unconstitutional attack on prolife pregnancy centers. You call his office at (517) 373-0158, or e-mail him at BrianElder@house.mi.gov.